Join the #Pets2Vets Twitter Chat on July 7 at 12 pm EST! I often say that I have five children. My two daughters, Olivia and Bridget and my three furbabies, Princess, Misty and Reggie. All of them hold a special place in my heart. If you are a regular reader of this blog, you’ll already know that Princess, Misty and Reggie are cats. They are so different though in personality, looks and temperament. Reggie is the newest member of our family. We adopted him in March. 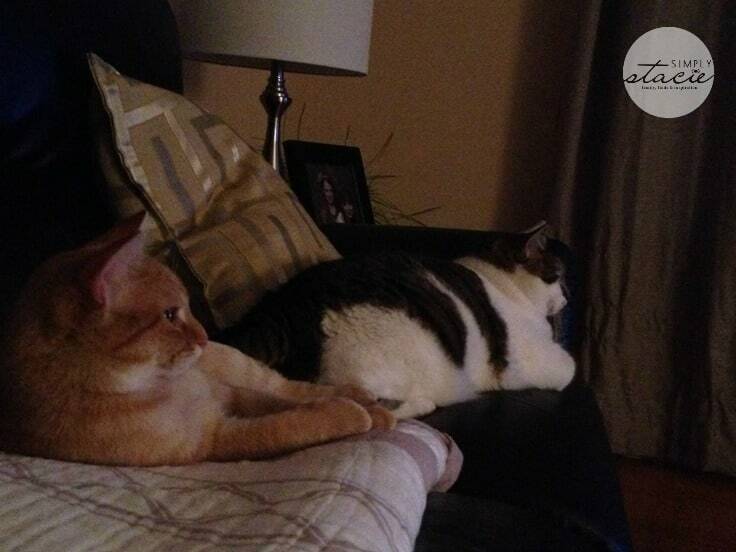 Last week, I was so happy to see Reggie and Princess sitting together on the couch watching TV. They are finally becoming friends. It warms my heart to see the two of them together like this. I’m also a dog lover. My nephew, Charlie, is a sweetheart. He loves my cats, but they aren’t so fond of him! 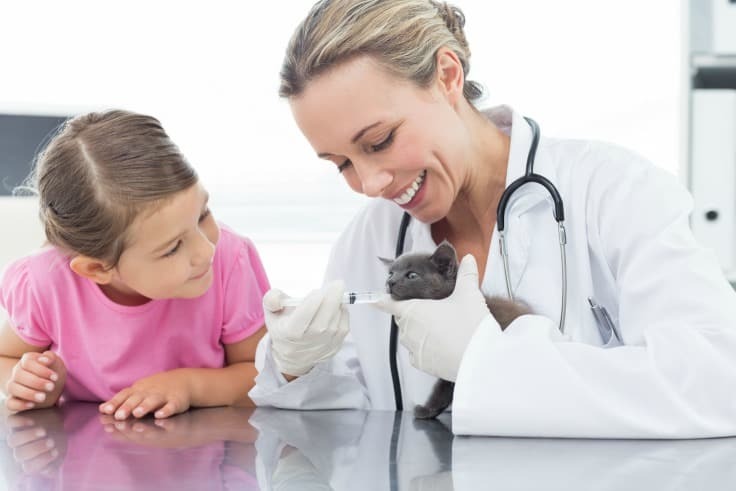 Having three cats, I know how important regular vet visits are. Princess, Misty and Reggie are currently healthy, but I still take them in yearly for their check ups just to make sure everything is ok. It’s also peace of mind for me because I worry and I usually have a couple questions to ask the vet anyways. 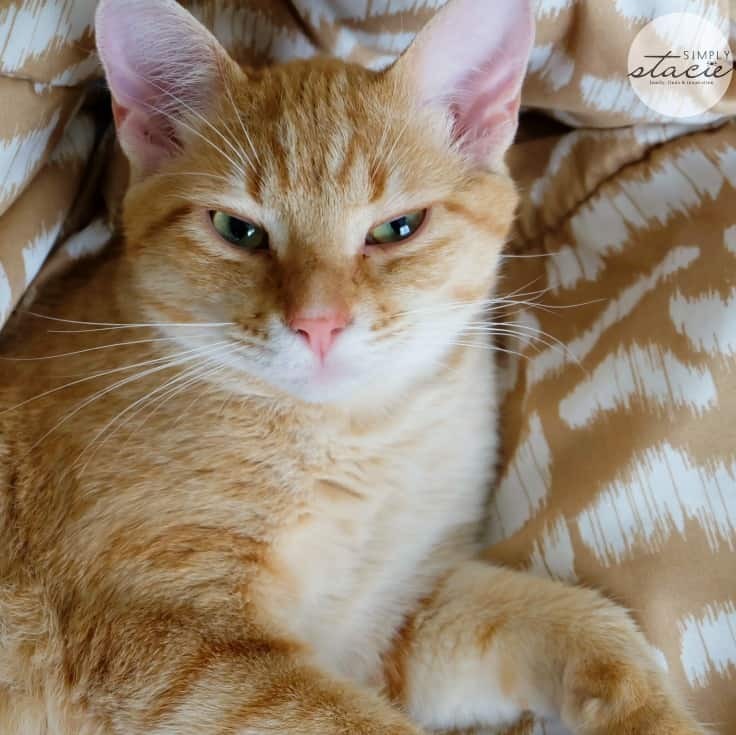 All three cats have different reactions – Princess doesn’t seem to care and is indifferent to the whole experience, Reggie is hyper kitty and on the move and Misty is shy and unsure. Their reactions make sense because of their unique personalities! I would be shocked if Misty acted like Reggie and vice versa. Talking about my cats and pets in general is something I’m passionate about. 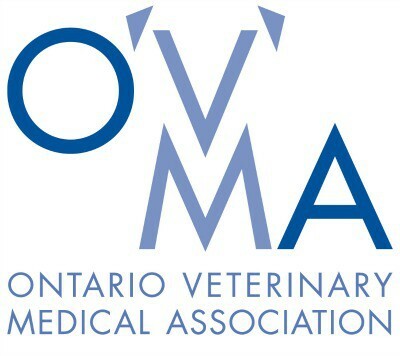 I’m excited to have teamed up with the Ontario Veterinary Medical Association (OVMA) to host a fun Twitter Chat centered around caring for your pet this summer. 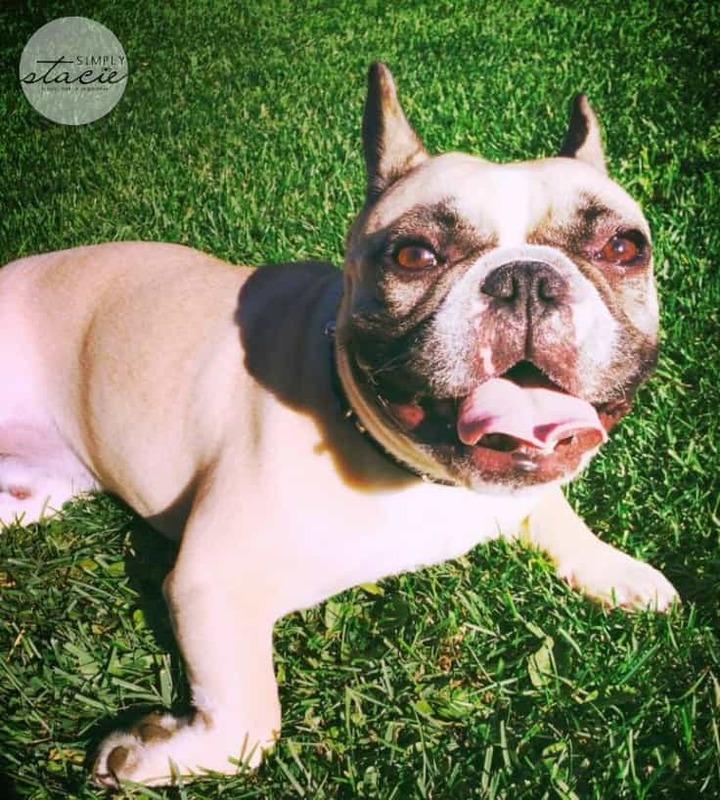 Expect summer pet care tips and other useful information about your pets. Dr. Chris Doherty, an Ontario veterinarian, will also be there to share pet care tips and answer your questions. Plus, we’ll be giving away six pet prize packs to lucky participants. I hope you’ll join us and tell us all about your pets! I am going to try to make this party. Thanks for hosting this. This twitter party look’s like fun. We have a dog and a new cat that hates the dog lol. I don’t have a twitter account, however, understand your love for your pets. My life has been enriched immeasurably by the animals I have known and loved. I can’t wait, should be a fun one!